City Bus, School Bus And Other Transport Vehicle Ect. 4CH 720P 3G/4G Realtime Video Tracking Mobile DVR with Bus People Counter all in one system. 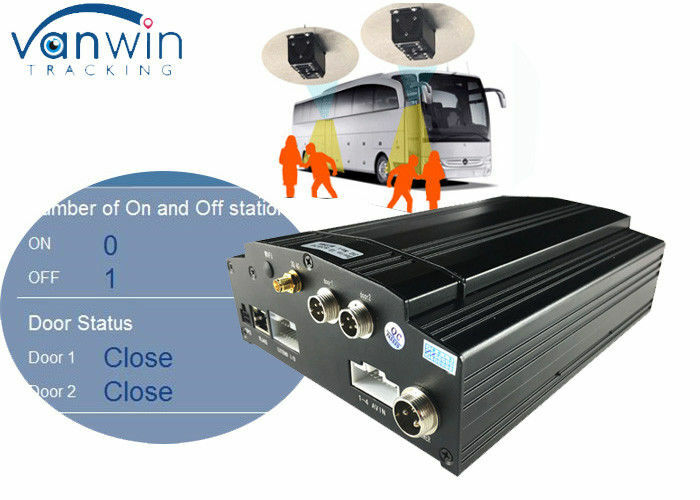 The Vieo- Counting Bus People Counter(VPC) with binocular lens is developed based on advanced Video Counting&image analysis technoloy. 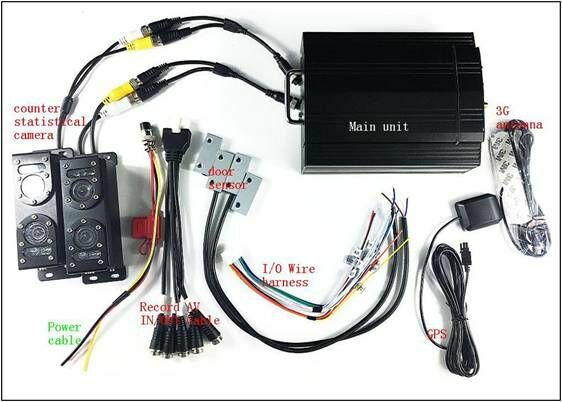 It judges passenger's number by capturing human characteristics such as head, shoulders, body and body's get-on& get-off Movement characteristics and obtains accurate counting results by high-speed DSP intelligent algorithm. After many year's improment and development, the core calculation has been successfully used in different application scenarios and vehicles. Normally the accuracy of statistics is over 98% and with crowded circumstances, the accuracy is over 95%. It can automatically filter backpack, luggage etc. OSD Character superposition function, information superposition of time and date, device ID and GPS, etc. Video Compression Format Compression coding. Applying Hisilicon hi-performance processor. Dimensions 160(W) x62(H) x200(D) mm. 1)What purpose does the sensor serve? Re:The sensor is designed to count the number of bus passengers getting on or off. All passengers are counted regardless of their payment method (cash, pass, welfare ticket, or discount ticket). Re:The sensor can be used to get information on the usage status and crowding of bus passengers. Take advantage of the sensor's abilities to create an optimum time table by knowing the number of passengers getting on or off at a particular stop, at what times, on which lines, and in which zones. 3)What type of sensor is it? Re:The sensor (camera) is installed in the bus ceiling near an entrance and exit. It is compact and easy to install. A single sensor can count people getting both on and off. 4)Passenger counter and surveillance passenger cameras work with the same device or they work with their own one? Re: we actually have 3 different models. 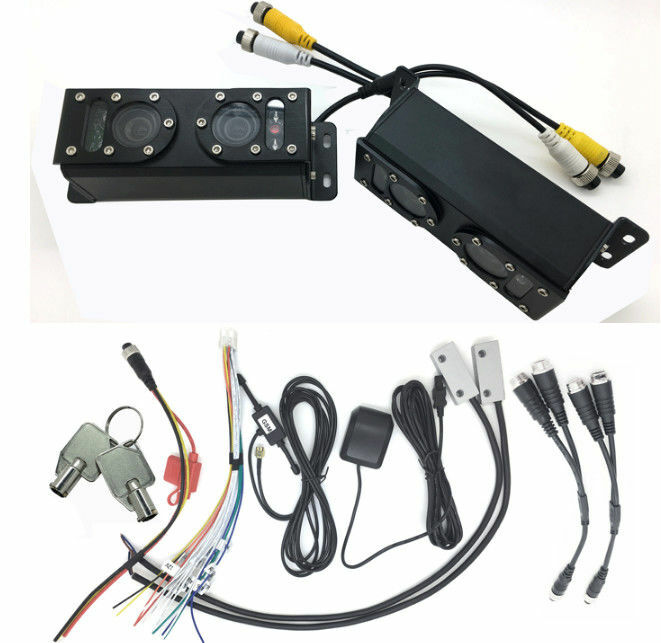 Model C is HDD mdvr &counter all in one kit. For model C, they supports 4ch recording, means you could connect max 4 another surveillance cameras with our main unit, so totally 2 counting cameras+ 4 surveillance cameras+ Main unit.